So this past week at AndroidTO martin handed me something ... it was the Nomad Roadtrip. 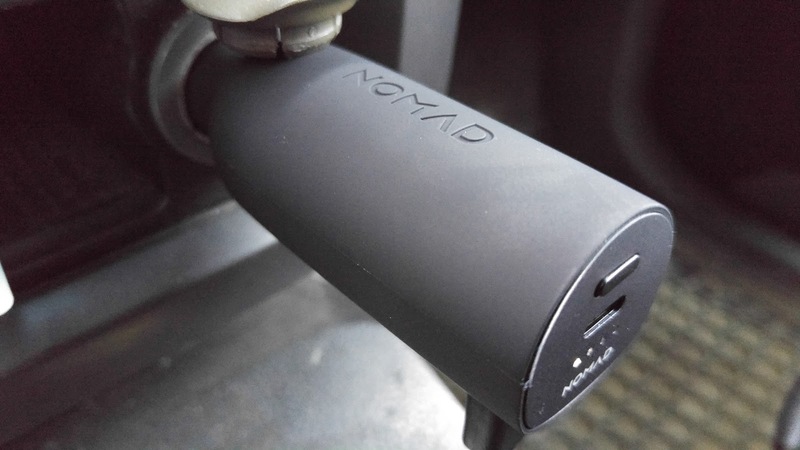 It was pretty apropos for the it as we were on a trip and you can always use some extra power while you're on the go. 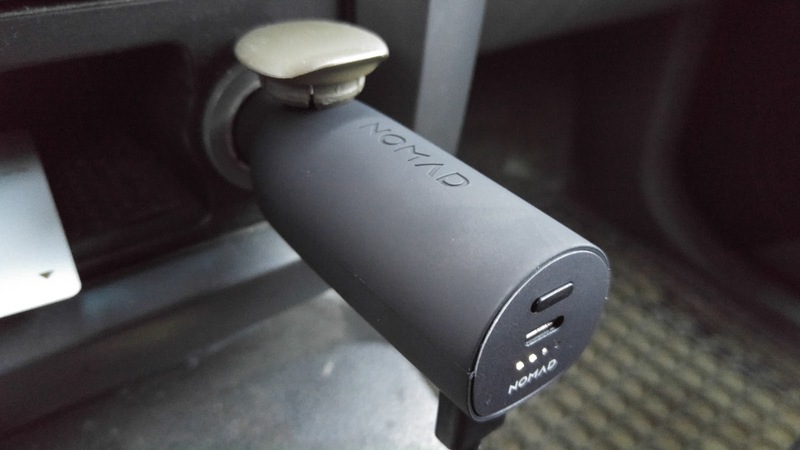 Unlike other portable batteries out there, this device is geared to being a car charger, and that's how it'll charge your phone, as well as charge the 3000mAh battery stuck inside. Bonus feature with this is that it's 'future compatible' by the fact that it has a USB-C cable port on it (which is really timely as I just received the Nexus 6P to review). There's one port for USB-C and then on the underside is the USB port for a regular cable (if you have a cable). The downside of this is that the regular cable (if you're not using USB-C) is that the cable now is perpendicular to the 'tube' of the charger. So it's a little awkward. While plugged into the lighter socket the cable goes 'down', so depending if you have your change drawer just below that (and odds and sods of pends and doodads) it might make it a little cluttered, so you'll have to adjust accordingly. Outside of that, it acts just like a regular 3000mAh battery that you initiate with the button that's just above the USB-C port. It'll give you 4 indicators to let you know how much battery you have; which is really good. It is only 1.5A output ... and lately just about everything is at 2A or higher, so that's kind of a disappointment, but really over all it's doing a fine job. Charging it back up in the car I found it took about 30 minutes to get me about 25% or so back. But it doesn't matter so much as my lighter socket is on even with the ignition off, so I can leave it in overnight and it'll charge up on its own and ready to be taken out for the next day. Overall, I really like it. I'll have to admit, it's definitely a little phallic looking, so be careful stuffing it in one of your pants pockets (especially if it's deep), but usually the cable jutting off at 90 degrees prevents me from keeping it in a pocket. It's especially nice that it's on sale for $39USD (regularly $59) currently.